If you are in a super big hurry, this is a nutritious way to make a fast food dish that is warm and flavorful. 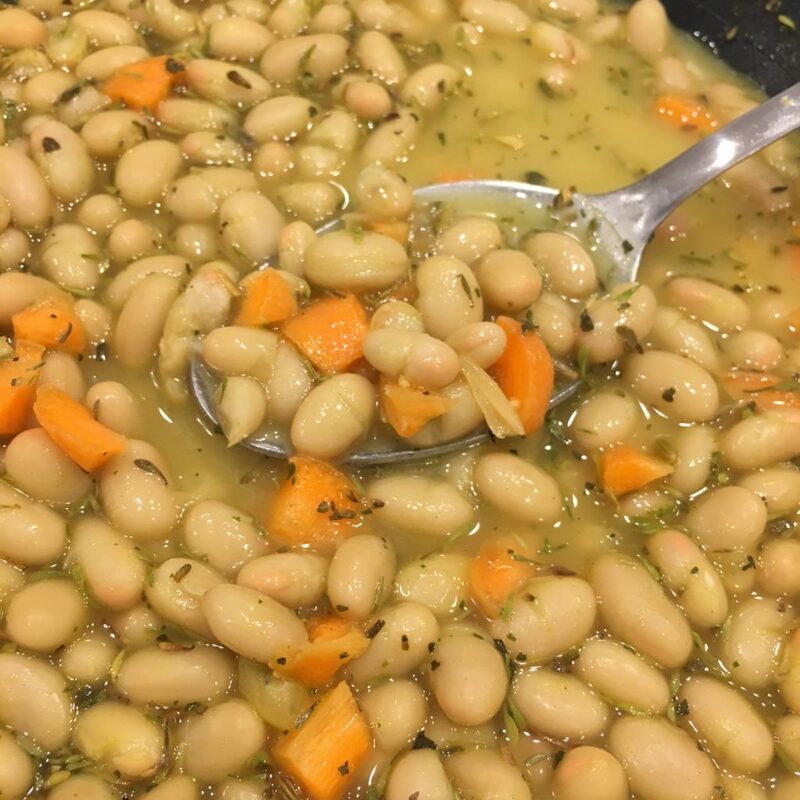 Five ingredients warmed in a pan on the stove: Navy beans, bouillon, herbs de Provence, nutritional yeast and water. Throw in a few diced carrots too, if you want. Nutritional Yeast gives you an awesome B-Vitamin boost, along with other essential nutrients. Experiment adding nutritional yeast to your favorite dishes! Put all ingredients in stove pan over medium heat and warm. Serve. Thank you! I am excited! My sister would have told me the nutritional yeast was helpful for B vitamins! I wonder why i didn’t remember! Thank you so much for this quick and simple recipe with such great flavor. I was looking for a way to add more beans to my diet and came across this recipe on your husband’s website. It was quick, easy, and healthy, too.